I am once again here to chatter about something that I know. Many of you guys must be wondering if your accounts are safe with your given passwords. Can anyone open up your account, may or may not be financial, may be LinkedIn , may be FACEBOOK...? The answer is somewhat difficult but it is 'YES' for some scenarios. Because the the security provided by Google, Facebook, Paypal, Ebay is very high but still such incident happen. What do you think why are there incidents of online thefts, looting and robbery. The reason is that most of us(I am primarily talking about INDIANS) need to go to Internet Cafes at least once in a month or two, even though we have a net connection at our home. Most of the novice computer users are not aware of malicious software that may be running at the back-ground in the system. Such software are deployed to steal the passwords of the confidential accounts like Paypal may be your Bank account passwords etc. 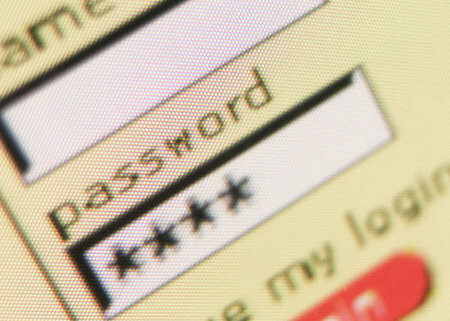 A properly chosen password can compel a hacker to take about 238 years also to break a particular password. A password of even 6 characters can be hard enough to break. 1. Choose small and meaningful passwords. A password that cannot be memorized or recalled when required is of no use. So while choosing a password you can opt to chose first name of your child or wife concatenated with the two or four digits of your cars number. 2. Make use of characters, numbers and special characters while choosing a password. The strongest passwords in the world are those that are accompanied with digits, characters and any of your favorite special characters. A password with random characters and digits is more secure but difficult to memorize and recall. Anyways, I personally like the policy of Ebay. It prompts the user to choose a password that is a combination of numbers and characters. 3. Avoid choosing a password that is purely numerical. Numerical passwords can be easily broken by employing a counter program to the password field and running it from 0 through a very large number to get the required password. So its very dangerous to keep mobile numbers, PAN Numbers as your financial accounts' passwords. 4. Avoid choosing the passwords which can be broken through just a guessing. Choosing a password that can be easily guessed by anyone may prove fatal. This situation may be like choosing a password of your own name may be the name of someone beloved. The point number 2. describes the best way of choosing the password. Before logging into your account check the taskbar whether any suspicious software is running. You can also open task manager and close such malicious software. While typing the password second half of the password must be typed first and then mouse must be placed at the start and then the first half of the password must be typed. This is because the key-logger and similar software cannot recognize the mouse movements. After you are done with using the browser, just clear of the cookies and other resident data in the browser.Click here to see how to clear the cookies in different web browsers. OK, this much is enough for this time will meet again soon. Keep visiting.